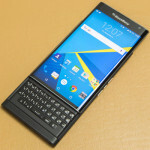 You are here: Home › General BlackBerry Device FAQ's › How do I unlock my BlackBerry? How do I unlock my BlackBerry? You will need to know your IMEI number for your BB. Look at Options, Status. The IMEI may also be found on the white sticker under the battery (sometimes hard to read–make sure you read it right!). Most carriers will give you the unlock code for your BB. Some have policies that vary from having an active account in good-standing (good payment history) to having been a customer for 90 days or more. You can purchase the unlock code from various vendors. These listed below are reputable vendors with good feedback from users. Unlock codes are particular to each BlackBerry. They cannot be used from one BB to the next. Do not purchase your unlock code from a friend who has one and says the code was for his BB. Unlock codes can take anywhere from 4 hours to 10 days to obtain. Some BlackBerrys simply can’t be unlocked for various reasons: The IMEI number cannot be found in the RIM database, or the device was a pre-release, not-to-be-sold device. NOTE: Make sure you follow these or the instructions offered with your unlock code, correctly. If you enter the unlock code incorrectly five times, the device will permanently lock to the carrier to which it is branded. 10. Your Storm is now unlocked. 9. Enter the code given you, this code is 11 digits. 10. Your Torch is now unlocked. This will not work on the 9105 model, see the 9105 section for instructions. 2. Power phone on and Turn off the radio (Turn Wireless Off option) VERY IMPORTANT. 9. Reboot device. Device is now unlocked. 5. You should see a dialogue where you can put in a 16 digit code and 10 tries to punch it in correctly. 6. Does it say Network active? If so your phone is locked. 8. It will say “Enter Network MEP Code, then you type in the unlock code, press in the jog dial to confirm. 1. Select Options menu on BB. 3. Type ‘MEPD’ for all models, except 7100 in which case in case use ‘MEPPD’. 6. Here you must enter the “NET Unlock Code” that you have. How do I reset my message counter to clear, or zero?